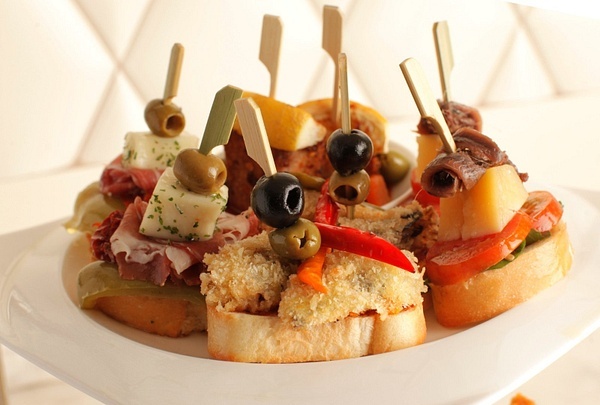 The Lifestyle Hub: Tapas, sangrias and everything Spanish! Tapas, sangrias and everything Spanish! 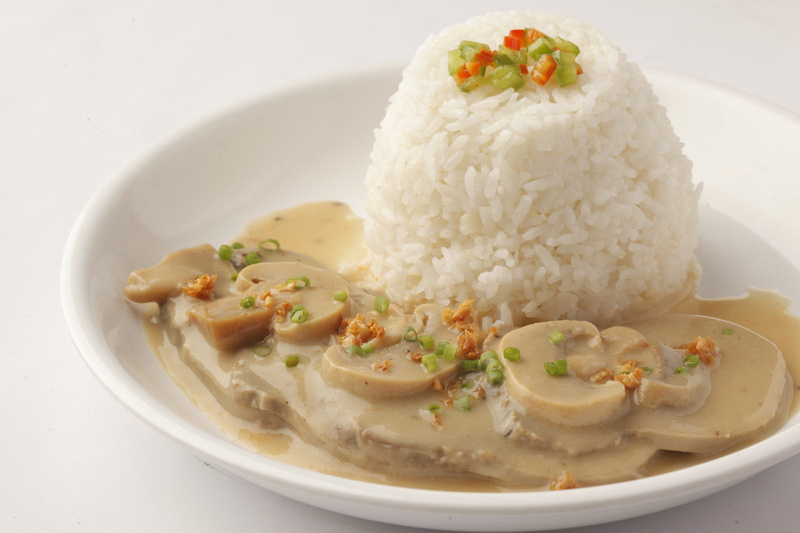 Resorts World Manila’s French restaurant, Impressions, adds spice to its menu with a breath of Spanish flair. Internationally renowned Chef Cyrille Soenen offers an array of Spanish Ala Carte dishes, from tapas to entrées, cold cuts to different kinds of cheese. The restaurant will host various culinary treats including an all-out Spanish Wine, Tapas and Cold Cuts sampling on June 18, and a lavish Spanish Sunday Brunch on June 30. 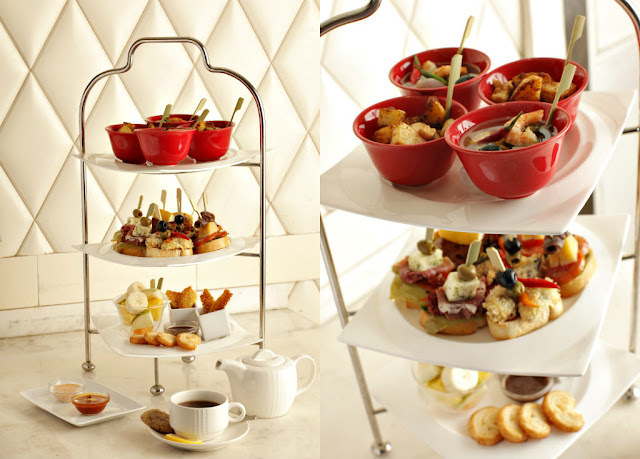 Meanwhile, Coffee bar and lounge Café Maxims comes out with a Spanish fusion sampler with their Spanish High Tea Stand. This multi-tiered treat features three different levels of flavor ranging from savory to sweet. 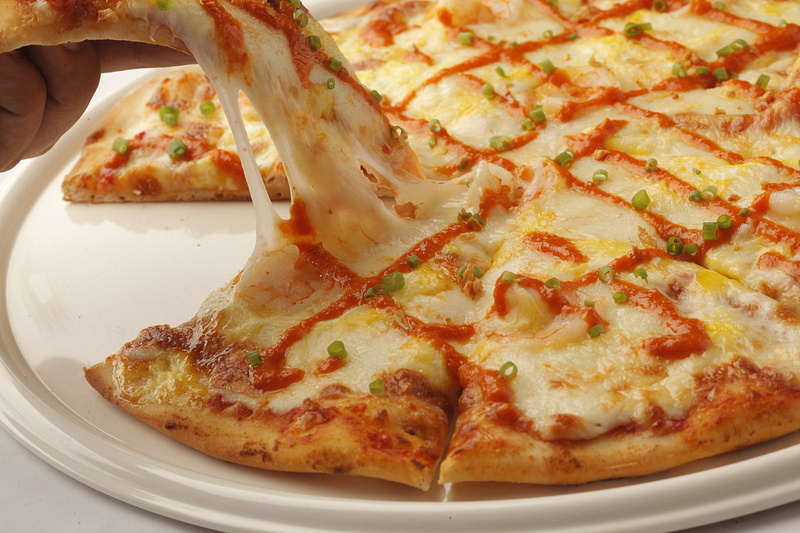 The first layer is an appetizing pair of Gambas Al-Ajillo and Crujiente Pecante y Patatas. A sumptuous tapas set comes next which includes samples of Sardines Con Pecante y Tomate, Tomate Con Quezo Anchovies, Quezo Bocconani Con Hamon, and Tuna Brochette. A dessert set of Tocino Del Cielo, Palmeras, Churros, Silvanas and Grilled Fruits cap off the list. 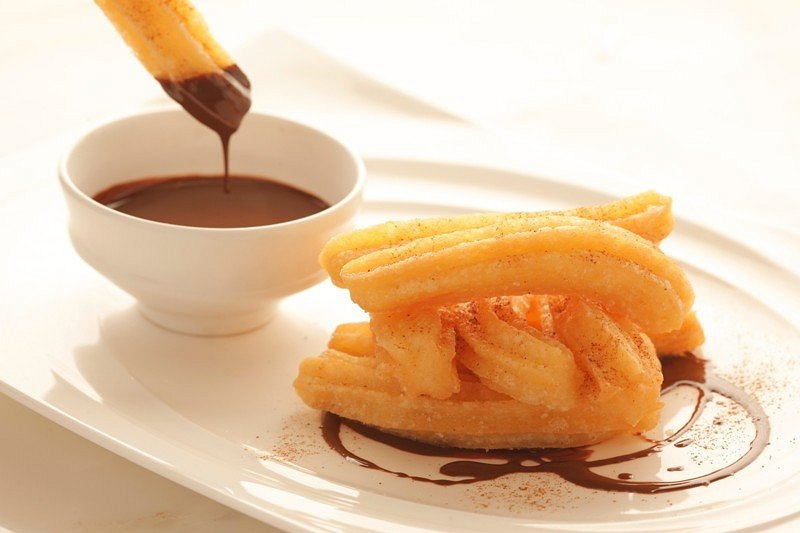 Café Maxims will also hold weekend cooking demos to delight fans and bring them closer to Spanish cuisine. 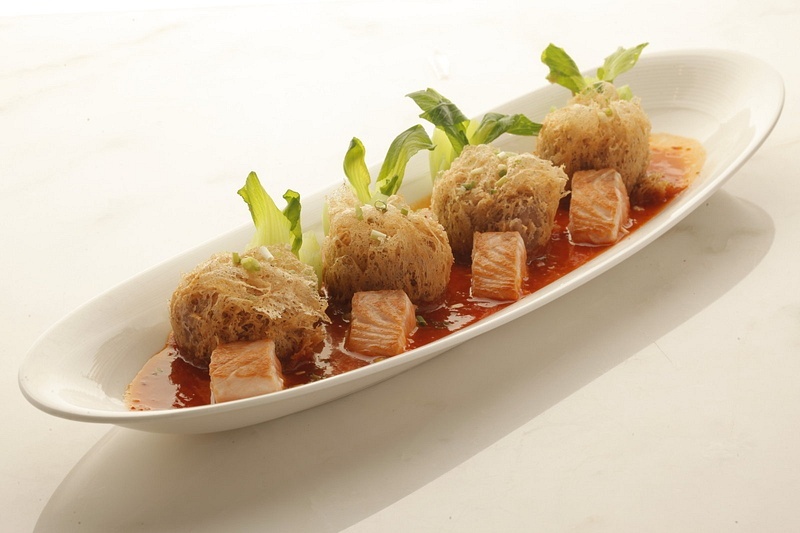 Cantonese fine dining restaurant, Passion, for their part, will serve a unique fusion of eastern and western flavor with Chef David Chu Wai Fung’s Mini Taro Salmon with Spicy Tomato Sauce. To complement the sumptuous dish, Passion offers a swig of Tropical Sangria, a refreshingly sweet mix of tropical fruit flavors to wash it all down. Mediterranean-themed restaurant The Terrace channels its Spanish roots with a diverse offering of Tapas, Spanish Wine, and Spanish Entrées at their lunch and dinner buffet sets. June weekends at The Terrace will also be extra special as it features a Barbeque Buffet set every Friday, Saturday, and Sunday of the month. RWM’s all-Filipino buffet restaurant Mercado, on the other hand, offers a comforting treat with their “Fil-Hispanic Cuisine Festival.” From June 1 to 29, Mercado’s buffet will feature different Fil-Hispanic and Mediterranean dishes that represent the centuries of rich cultural union between two countries. Dishes such as Potaje De Judias Blancas, Chipirones a la Plancha, Penne a la Gambas, and Calamares En Su Tinta will add some Spanish spice to Mercado’s line-up. 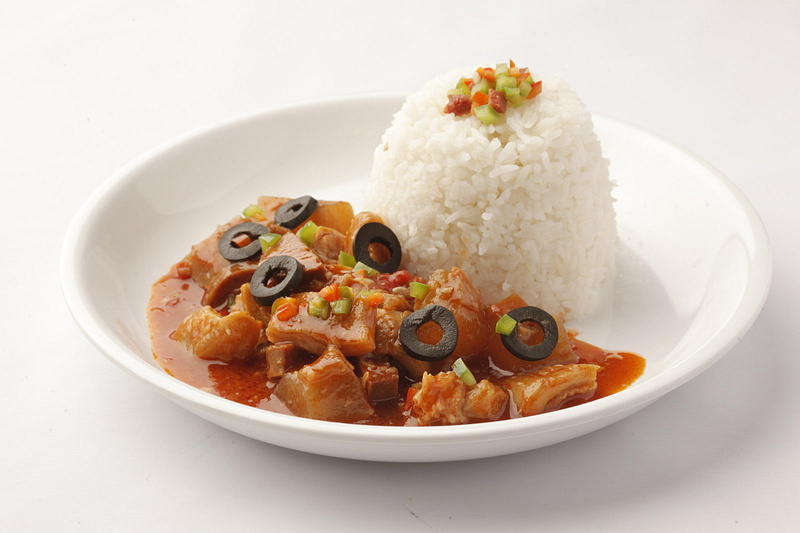 In Prosperity Court, rice lovers can choose between the Callos a la Madrileña and the Lengua con Cetas, while those craving for pizza can sample either the Coca Con Chorizo y Melacoton or the Coca Con Huevos y Gambas. RWM’s entertainment hub Bar 360 and its piano lounge Bar 180 offers something different for those in for a round of drinks. Their limited offer of Red or White Sangria Tower comes with a free choice of special tapas which includes Chorizo Frito, Gambas al-ajillo, Tabla de Queso, Tabla Jamon Serrano, Champinon Al Ajillo and Calamares Ala Romana.